Diesel engine exhaust has been identified as an air toxic. Diesel fuel and used motor oil are hazardous materials. Mobile equipment that moves under its own power does not need a permit – but auxiliary engines over 50HP do need permits. A stationary engine stays at a fixed location for 12 months at a time, or is regularly operated as part of an existing permitted facility. 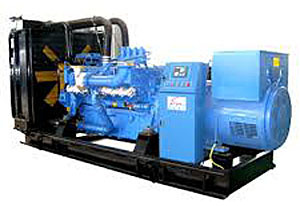 A portable engine is one that moves to multiple locations and is never in one location for more than 12 months. Portable equipment may be registered with the State of California Air Resources Board – however this equipment CANNOT be used at a fixed location for more than 12 months. An engine cannot be moved or replaced to avoid permit requirements. Engines used for “residential" or Farming purposes are NOT exempt from permit requirements. Penalties for failure to obtain a permit can be very expensive ($1,000 or more per day) and may result in jail time. Call Mendocino County Air Quality at 707-463-4354 for permit or more information. A facility that handles a hazardous material or a mixture containing a hazardous material in a quantity equal to or greater than 55 gallons, 500 pounds or 200 cubic feet at any one time during the year must prepare and implement a management plan. Design, construction, and monitoring requirements for underground storage tanks are prescribed in the California Code of Regulations, Title 23. The Mendocino County Division of Environmental Health acting as the local CUPA is responsible for compliance and administration. The Aboveground Petroleum Storage Act, Assembly Bill 1130, took effect on January 1, 2008. It requires the owner or operator of a tank facility with an aggregate storage capacity of equal to or greater 1,320 gallons of petroleum to prepare and implement a Spill Prevention Control and Countermeasure (SPCC) Plan. Used motor oil must be recycled. It pollutes the environment if it is dumped down the sewer, on the ground, or in the trash. Oil can be recycled at all 12 solid waste disposal facilities located in Mendocino County. Commercial recycling is provided by licensed hazardous waste transporters.